Ḥorvat ‘Illin Taḥtit is situated at the edge of the Shephelah, on the lower, southern end of a narrow limestone ridge on the western limit of Wadi en-Najil. The site presently lies within a southern neighborhood of modern Beth-Shemesh, c. 1 km due east of Tel Beth-Shemesh, and c. 1.3 km southeast of Hartuv on Naḥal Sorek. In antiquity, however, it was nestled in an area forested with typical Mediterranean vegetation. Ḥorvat ‘Illin Taḥtit is the lowest lying of a cluster of archaeological sites on the limestone ridge. It lies astride Naḥal ‘Illin, a narrow, shallow, seasonally dry water course that gently descends westward and debouches into the wide Sorek Basin, just south of Tel Beth-Shemesh. These sites—Ḥorvat ‘Illin ‘Ilit, Ḥorvat ‘Illin Taḥtit, and Ḥorvat ‘Illin Darom—were discovered when the area was included within the limits of the expanding modern town of Beth-Shemesh. In preparation for development work, the site was briefly probed by J. Seligman and N. May in 1990, who recorded evidence of an Early Bronze Age I occupation. E. Braun subsequently undertook a large-scale salvage excavation in 1990–1991, and H. Stark concurrently examined parts of the site on the same ridge, just south of Naḥal ‘Illin, at Ḥorvat ‘Illin Darom. 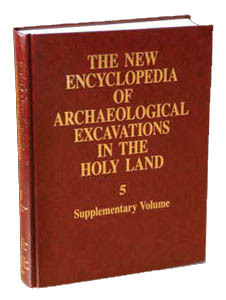 All these excavations were conducted under the auspices of the Israel Antiquities Authority. The results indicated that this end of the ridge was settled in a number of periods. Five strata from intermittent episodes form the basic archaeological profile of the site; some of the artifacts indicate site utilization in other periods.